HomeOpen Back Headphone ReviewsThe Grado SR225e Review: Is It A Worthwhile Upgrade? The Grado SR225e Review: Is It A Worthwhile Upgrade? Before we get into the Grado SR225e Review, grab a snack, sit back and relax because.. Frequency Response: 20Hz – 22kHz. I believe the Grado SR225 to be an actual good step up from the SR80e. I talk a lot in my articles about the law of diminishing returns, and for Grado headphones in particular it’s a very prominent theme. A lot of the more expensive models do sound better, but as you pay more and more, the increase in sound quality becomes smaller and smaller. In my opinion, the SR225 is the exception here. It sits in a pretty comfortable price range, and isn’t all that much more expensive than an 80e. Also, the sound is a significant jump up from the 80e in my book. Overall the 225e has a very tight sound with excellent clarity. It provides nice impact without being muddy, but I did find the sound to be ever so slightly metallic. Basically this means a tad artificial, but it’s not a deal breaker by any means. The Soundstage is also pretty sweet. I definitely got the impression that stuff was going on outside the headphones which is always a nice touch. What is Soundstage? As far as the bass is concerned, it’s got some pretty sick impact, as per my notes. I wouldn’t consider this a bassheads headphone by any stretch, but it will definitely deliver for the most part. You may not purchase this primarily for stuff like EDM and Hip-Hop, but it will work regardless. Because Grado’s sound signature tends to get sibilant at times, I was expecting sibilance with the 225e but surprisingly didn’t get much at all. There’s always the capacity for it when you crank the volume, but here I was pleasantly surprised with the result. What does Sibilant mean? Clarity and detail. No muddiness. 3.5mm jack too big and thick for most larger phone cases (I have an Otterbox and had to take it off). For some people, the bulky non-detachable cable with be a negative. My review will be coming soon. Stay tuned! 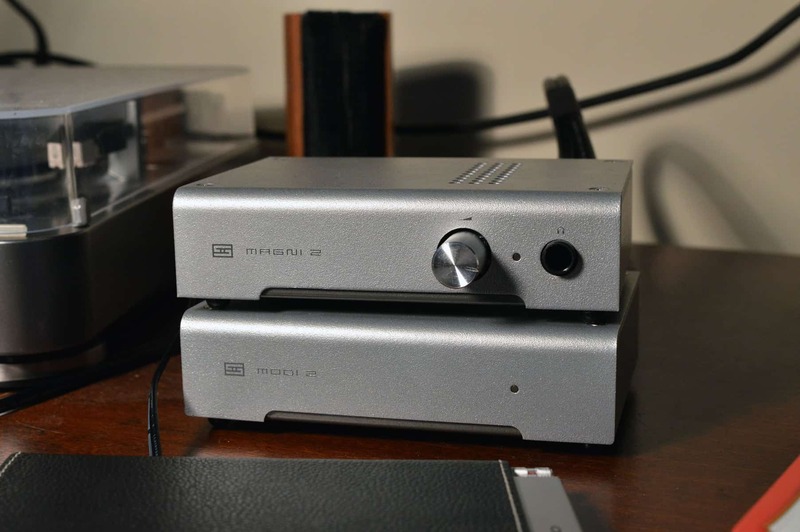 You’re not going to need an amp, but if you have a Schiit Stack lying around, by all means plug that bad boy in! How to choose a headphone amp! Just be aware that because of their high sensitivity and low impedance, you won’t need to jack the volume up that much. Be very careful. What is Sensitivity in Headphones? Progressive Jazz fusion. Think of the band Chon. They do absolutely phenomenal with stuff that involves crunchy or smooth guitars. Doesn’t matter! These are the genres I listen to most often, and the 225e’s excel with all of them no problem. I used a NAIM DAC V-1 paired with an Oppo Receiver for testing, and primarily listened to Chon’s “Homey” album. It was magnificent to say the least. I also used the 225e’s with my Android (Samsung Galaxy S5) and Spotify. They were almost as good, but with the DAC there is a pretty nice sound upgrade overall. I wouldn’t purchase an amp for these, but it will make for a slightly better experience. For the most part these are meant to work with mobile devices, phones, etc. due to their low impedance and high sensitivity. What is Sensitivity in Headphones? Detail lovers headphone. Tight, accurate, and articulate. Tad bit of sibilance, but not a deal breaker. Very comfortable overall. Build isn’t exemplary, but it will suffice. Cable is bulky and non-detachable, and you may need to take your phone case off before use. CHECK OUT MY GRADO LABS SR80e REVIEW!! If you’re already familiar with those? SEE THE SR225e FOR YOURSELF!! Well that’s about it for today folks! I hope you’ve enjoyed this Grado SR225e Review. What do you think about these? Do YOU think they’re worth the investment? I’d love to know!! If you guys have any more questions about these babies, let me know down below in the comments as well. Did I leave something out? Please tell me..
Beyerdynamic DT 880 Pro Headphones 250 Ohm | MIXERS DELIGHT!